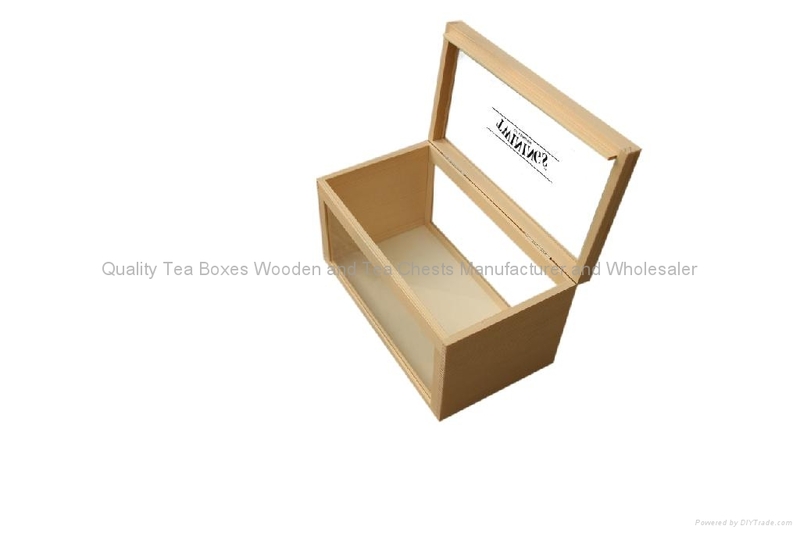 This natural unfinished wooden tea storage boxes is handmade from solid wood with arcylic glass windows all arround. This tea storage box is suitable for tins. 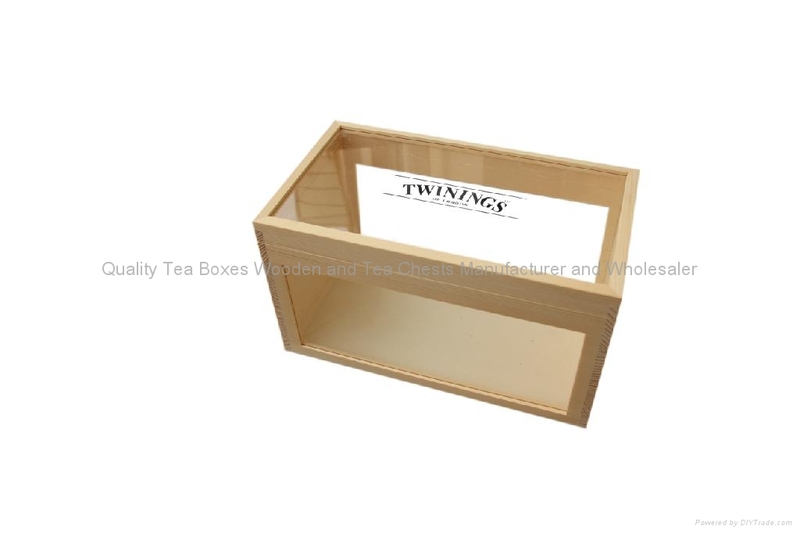 If it is used for tea bags storage, we can only put wood or arcylic partitions for compartments. If so, customers can see the inside tea brand clearly. The whole box is silk smoothy sanded and quality made. The printed logo on the lid can clearly show customers' the famous brands as well. Custom size is available upon request. 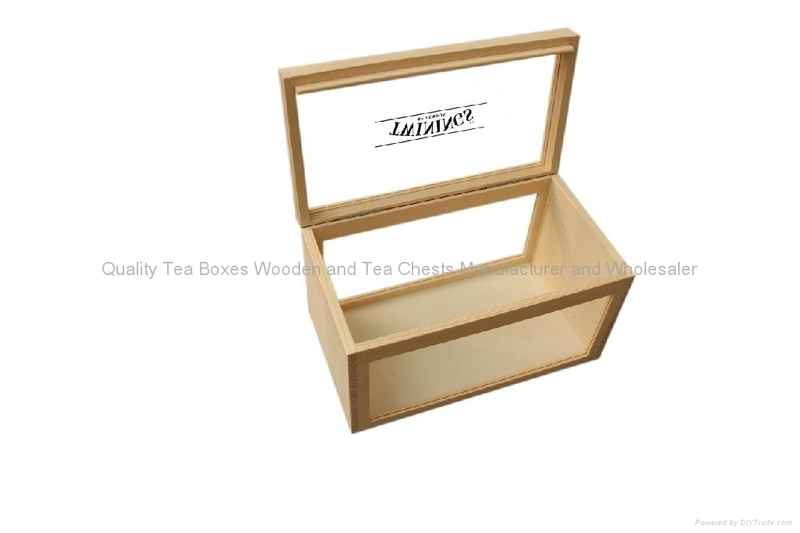 We take great pride in manufacturing the highest quality, custom made wooden tea boxes and tea bags storage wooden boxes for each and every customer. We have the skilled workforce and expertise required to meet any and all of your wooden box needs.